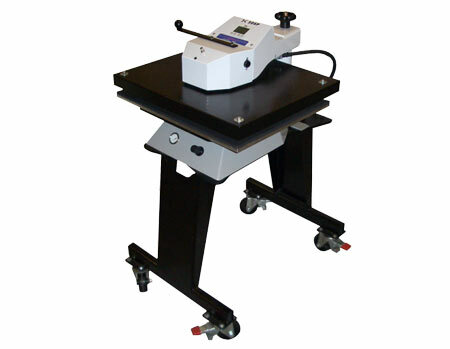 The extended 20x25 size of the heat platen is perfect for sublimation and large format materials pressing. 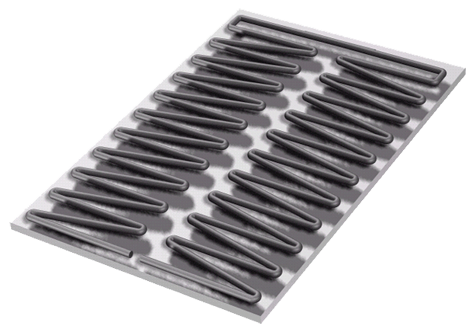 The heat platen uses SuperCoil-Microwinding™ heater technology, a system of embedded heater windings that wind tightly and closely together throughout the entire platen for extremely even heat, fast recovery & fast heat up times. The controller utilizes an easy to read oversized-digit LCD display to show time and temperature simultaneously, and the temperature readout is accurate within +-2°. The operator can use the 70 programmable presets for saving common application settings, and the press features a highaccuracy pressure regulator and pressure gauge for specific psi settings. The press is adjustable to accommodate materials from fabric thickness all the way up to 1" thick substrates! This press features over 3000 lbs of force (far more applied pressure than the 16x20 DK20SP air op) and is an excellent solution for regular to heavy use of larger format press requirements.